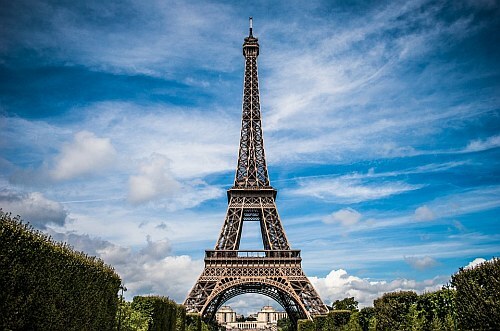 WestJet is showing flights from Vancouver to Paris, France for $566 to $616 CAD roundtrip including taxes. Similar to when they launched their flights to Dublin, the flights from Vancouver to Paris aren't always that great in terms of connections. Many of them have 2 stops in at least one direction. In some cases, the overall travel time isn't too bad (16 hours each way). You can also find some flights in July and August 2018 in this price range, which is the best deal overall, considering that this is peak travel season to Europe, when fares are that their highest. You can also find 2 stop flights from Victoria (YYJ) or Abbotsford (YXX) for a similar price. vancouver, yvr, flight deals, westjet, europe, western europe, victoria, yyj, paris, france, cdg, abbotsford and yxx. 7 Responses to "Vancouver (and Victoria) to Paris, France - $566 to $616 CAD roundtrip including taxes | July and August travel"
Would have loved too book. Great for sure ! But the 2 stop not so great. Also the connection times are very short kinda risky not making connecting flight but definitely a great find Chris ! Thank you Chris!! I have been looking at your alerts daily for the past 6 months waiting for a deal like this to come up, and finally today, I found this and just booked a flight for me and my girl friend to Paris!! Jess, those connection times are MORE than enough time for any able-bodied adult. I would agree that for Montreal, Halifax, and Ottawa - a 90 minute to 2 hour connection should be plenty of time. Toronto might be a different story. But none of these flights seem to go through Toronto. Jonathan: No problem, have a great time in Paris!